The faster you pull him, the faster he drums. 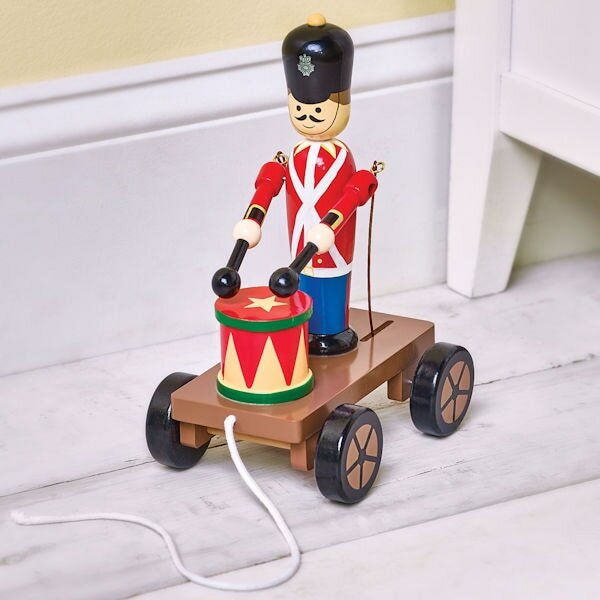 Handcrafted in solid wood and hand-painted, he's based on a traditional Victorian pull toy and full of old-fashioned appeal. 6" long, 9" high. Ages 3 and up.